A Nigerian man is celebrating his girlfriend of 4 years who gave him a Lexus RX jeep as a sign of love. According to his post, the girl is a daughter of a pastor while he is an aspiring musician. 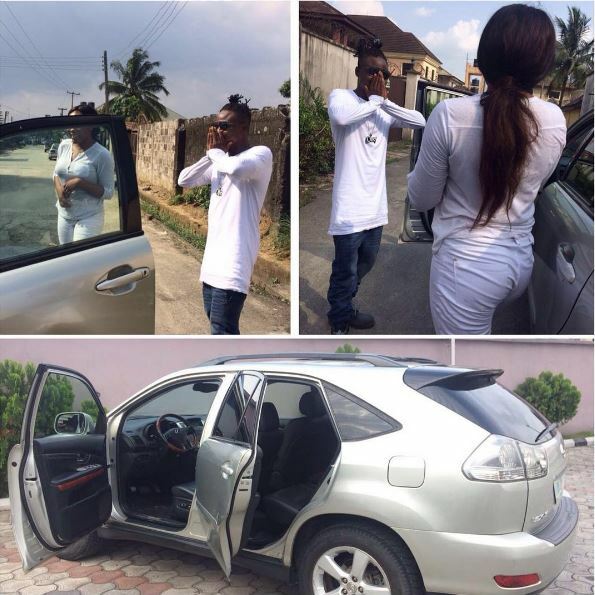 0 Response to " Nigerian Man Elated As Girlfriend of 4 years Gives Him Lexus Jeep (PHOTOS)"